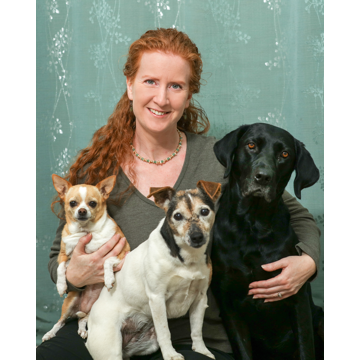 Animal palliative care and pet hospice is a new concept for many pet parents. As people, when we reach the end stages of our life, it’s become normal practice in the medical community to transition from treatment, to quality of life care and pain management. This is often referred to as palliative care. In the pet world, this type of care is just starting to catch on. It’s only been within the last ten years or so that the veterinary world has started embracing this. Pet Hospice (Animal Hospice) and palliative care is now one of the largest growing areas of veterinary medicine. In fact, some doctors of veterinary medicine have made the decision to only focus on end of life care and become a mobile practice. Mobile practices enable client care in the comfort of their own home. This type of pet care is becoming increasingly popular and starting to be in high consumer demand. Why? For numerous reasons. We all know how difficult it can be to transport a pet. Some pets have anxiety issues, others may have physical ailments making them incapable of getting into a vehicle unassisted and finally, the pet parent may not be able to drive or physically control the pet due to their own health. 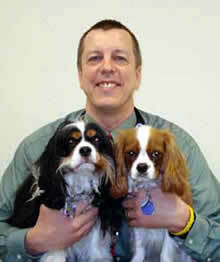 In 2009 Amir Shanan, DVM, founded the IAAHPC (International Association for Animal Hospice and Palliative Care). I had the pleasure of attending their first conference in Ft. Worth, Texas and recently just returned from their 2016 conference. “The International Association for Animal Hospice and Palliative Care is dedicated to promoting knowledge of, and developing guidelines for, comfort-oriented care to companion animals as they approach the end of life. I couldn’t agree with her more! This type of end of life care for pets is both one that I actively support and am currently participating in with Yama, my Siamese cat, under the supervision of Peter Jackson DVM, owner of Lifetime Veterinary Care in Nunica, MI. Dr.Peter and brought her in. We did blood work and x-rays, much to our surprise everything was within a normal range. Yama was hydrated and immediately perked up. We made the decision to feed her a high protein canned cat food to put some weight back on her. Measures were also taken to measure her fluid intake. Yama refused to eat or drink on her own terms. She did, however, continue to interact with the other animals and snuggle with us. I decided to force feed her with a syringe several times a day in hopes she may come around and begin to eat on her own again. In felines, their liver can stop working if they do not eat. Some cats have been known to take up to 6 weeks before eating again. Yama is not in any pain, she purrs regularly, sits in front of her kibble and even the water bowl. She does not fight being hydrated or fed. She does use her litter box, so we know her bowels are working. If Yama doesn’t start eating on her own, at some point I’m going to have to make some decisions. What I do know, is that presently she has quality of life. She clearly demonstrates that and communicates it. I’m confident that whatever transpires, she will also communicate that and I will honor it. What I won’t do, is let her suffer. When it’s time, together Yama, Dr. Peter and I will walk that journey.